It’s an understandable and common mistake. But basically, Facebook has personal profiles for people (you’re actually not supposed to set them up for organizations). Organizations are supposed to create “Pages” that people can then “LIKE” or become “fans” of using their personal profiles. The trouble is that a lot of organizations made this mistake some time ago and have since gathered up hundreds or thousands of “friends” for their organization to keep in touch with. And switching to using a “Page” instead, would have meant losing all of their “friends.” Well Facebook has an easy fix for this problem. 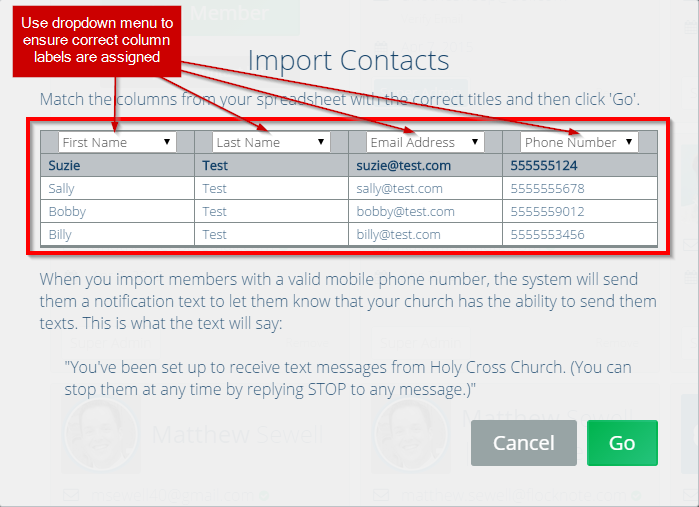 You can now easily convert your personal profile (mistakenly made for your organization) into a proper “Page” and not lose any of your connections! Just follow these instructions here and it will transfer all of your “friends” to a new Facebook Page for you. A Facebook Page is a better setup (than a Facebook personal profile) with a lot more to offer for an organization like a church. So you should definitely make the switch! 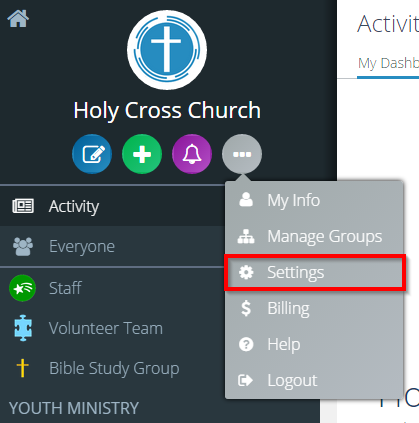 Also, Flocknote allows you to connect your church Facebook Page to any of your Lists on Flocknote (in your List Settings). Doing so will automatically promote your Facebook page at the bottom of all of your Notes you send out. It will also give you the option – when sending a new Note in Flocknote – to have Flocknote automatically update your Facebook page for you. Nice and convenient like. 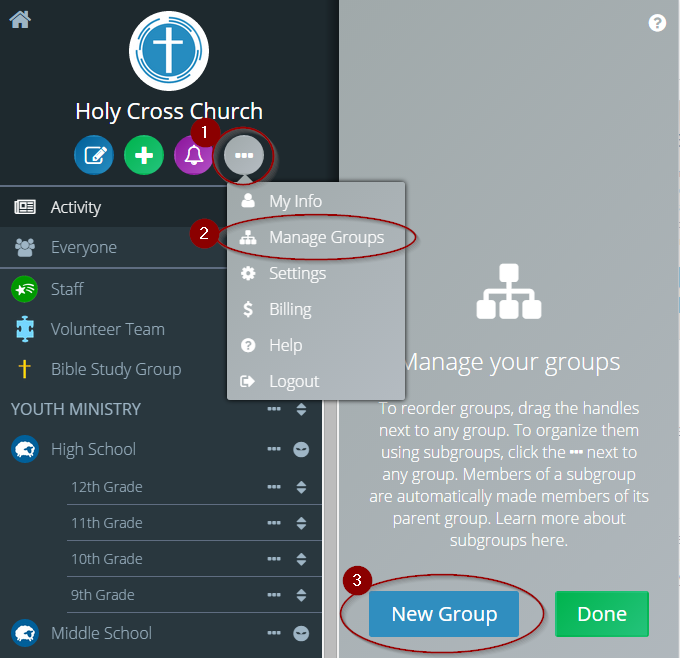 Already have a Facebook page set up for your church? Bonus reading: Check out this helpful pdf on how to get the most out of your Facebook Page -> Building Your Presence with Facebook Pages. 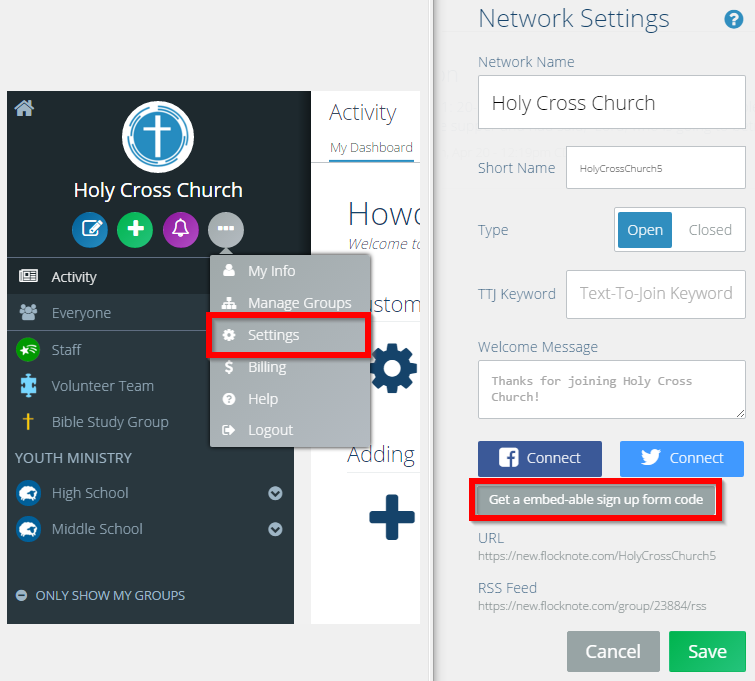 Facebook is a great complement to Flocknote for your church. Flocknote establishes an easy platform for your entire leadership team to manage communication lists and ministries while providing an easy way to oversee and track all communications sent out to members. Flocknote focuses on the most direct and immediate forms of communication that engaged members prefer: email, txt and phone. Facebook is a great way to build upon that, helping you build community, share your mission and reach other people who may not yet be fully engaged with you. That’s why we make it easy for the two to work together.